Saturday I went to the Rain Taxi Book Fair, where I was proud to be part of two debuts! JoAnn Bren Guernsey’s chapbook, Tangled Strings, published by Red Bird Chapbooks made its first public appearance. I was editor and designer for the book. And my favorite photographer, Scott Stillman, shot the cover. Great debuts at Rain Taxi! 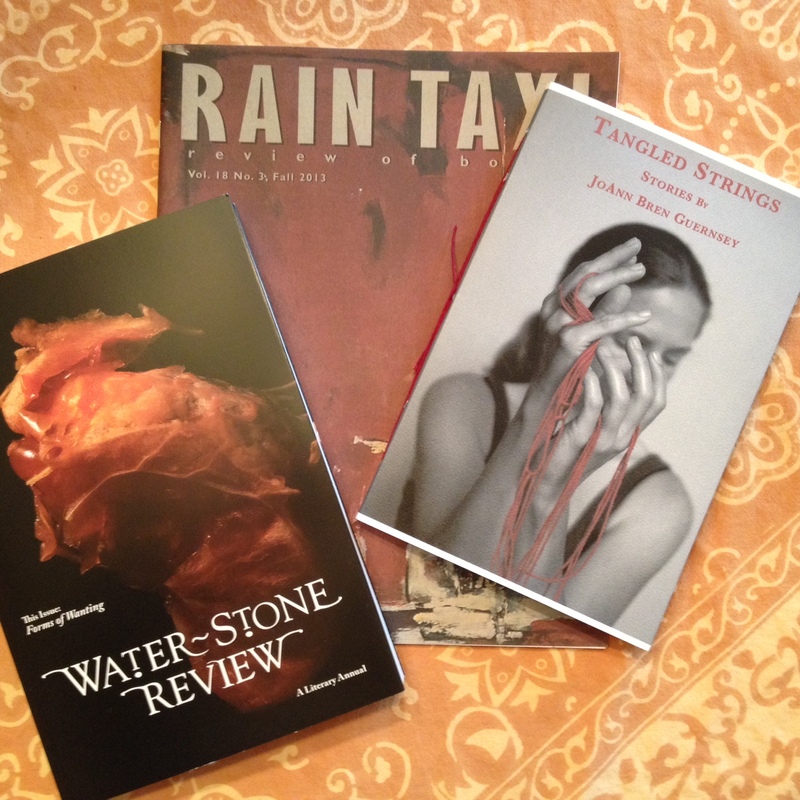 Water~Stone Review, volume 16, also debuted at Rain Taxi. My story, “The Herd,” is published in this issue of Water~Stone. There is a reading to celebrate volume 16 on November 8th, 7:00 p.m., in Sundin Hall at Hamline University. I’ll be there to read from “The Herd.” Please join us!